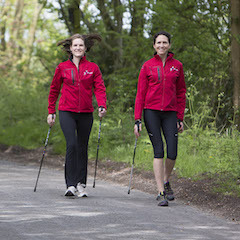 Learn the ten step British Nordic Walking technique from a Nordic Walking East Anglia instructor. We run group workshops and one to one sessions, in order to teach you the basics so that you are able to join in with one of our regular walks. For further details, please click on the individual link.